Brian Thacker Travel Writer | Hemingway can’t sing karaoke. On the way back to the hostel I passed a Karaoke bar. Ernest Hemingway was up on stage singing ‘Chantilly Lace’. I never knew Papa sang. He had quite a good voice, too. After Papa, another Hemingway got up to sing. Well, when I say sing, I mean howl. He howled his way through ‘Lady’ by Kenny Rodgers. He was so drunk he almost fell off the stage. Tom had brought his fan club along. 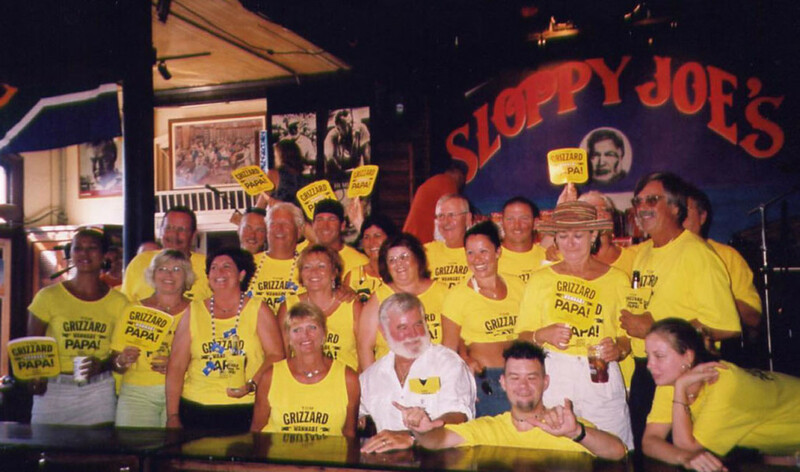 All twenty people sitting at a long table were all wearing yellow T-shirts with ‘Tom Grizzard – Wannabe Pop’ printed on them. This was his third attempt at winning the title. I asked him what he thought his chances of winning were. ‘As Hemingway would say,’ he slurred, ‘the fun is in the hunt, not the catch.’ I told him I was writing a book about festivals. ‘What’s Hemingway got to do with vegetables?’ he asked looking very confused. ‘No! Festivals!’ I shouted over a fat bloke’s boisterous version of ‘Rhinestone cowboy’. ‘What sort of vegetables?’ he said looking even more perplexed. ‘Hemingway loved carrots,’ I shouted.